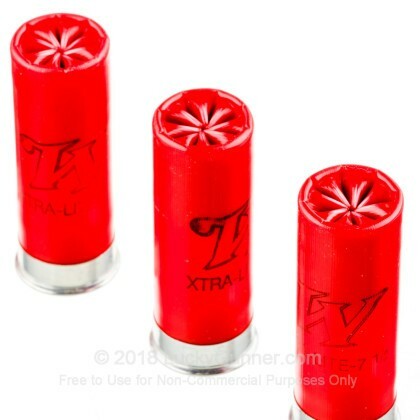 Load up on 12 Gauge ammunition and get all the practice you need! These 250 rounds are a member of Winchester's Super Target line of ammunition. 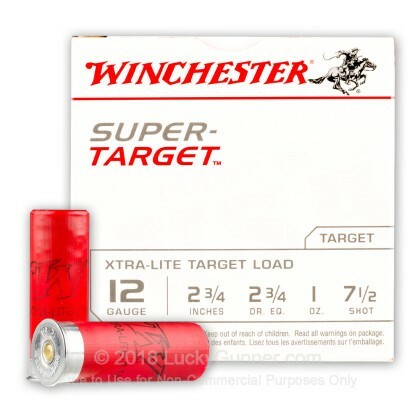 Super Target ammo will provide you with consistent patterns as you fire away at your sporting clays or trap. 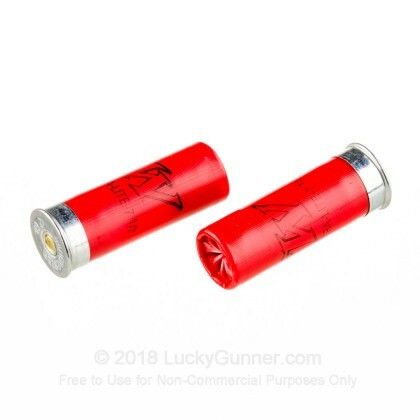 They contain Boxer-primers that are reloadable, as well as clean burning powders to keep your barrel free of build-up and firing smoothly. With a velocity of 1180 feet per second, this ammunition will shatter your target. A hinged wad helps reduce the amount of recoil you feel as you shoot, also making your shot more accurate. 250 rounds will be more than enough to spend a great day at the range, and you will save money as well by buying in bulk. Winchester Ammunition, founded in 1866, is a favorite among many American households. Winchester is referred to as "The American Legend", as it accompanied American settlers as they moved west to seek their fortunes. Winchester continues to maintain the same high standard of quality after all these years, making them a consistent leader in the ammunition industry. Just what it claims to be. 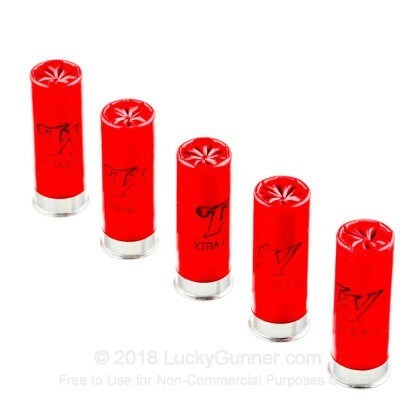 These are perfect light weight low recoil loads. Perfect for that not so young shoulder of my dads. I wouldn't recommend putting them through an auto loader but they are great in pumps or o/u guns. Enjoy a long day of shooting. 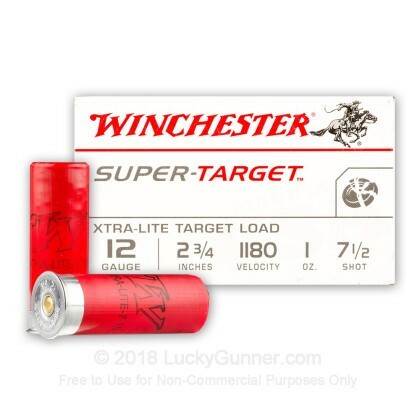 All I had were problems with these super target, xtra-lite loads. I had either failure to eject and or failure to load properly. out of the 250 shells, I shot about 25 and now the rest are garbage. We also have this 12 Gauge - 2 3/4" 1 oz. 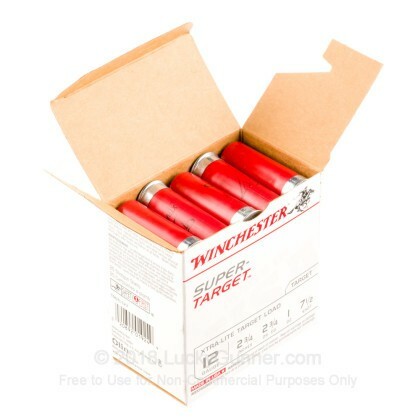 #7 1/2 Shot - Winchester Super Target - 25 Rounds ammo in stock in a smaller quantity.